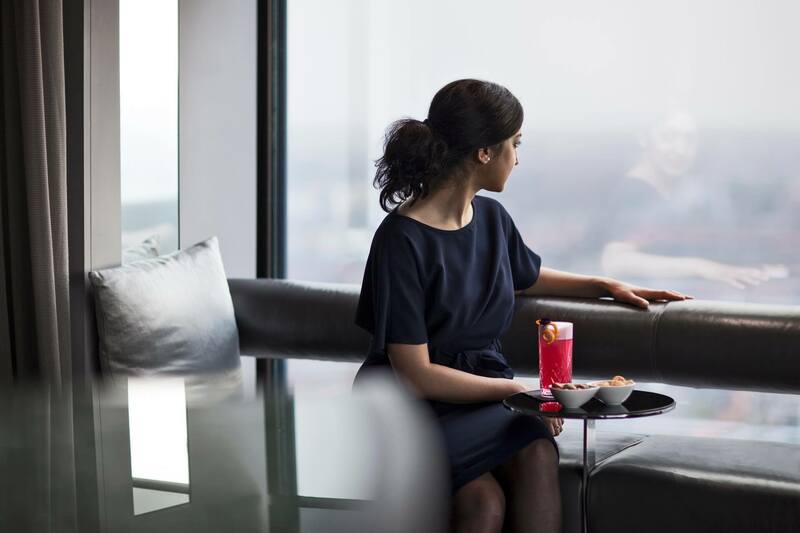 Drink in mesmerising views of Amsterdam at the Twenty Third Bar at Hotel Okura Amsterdam. 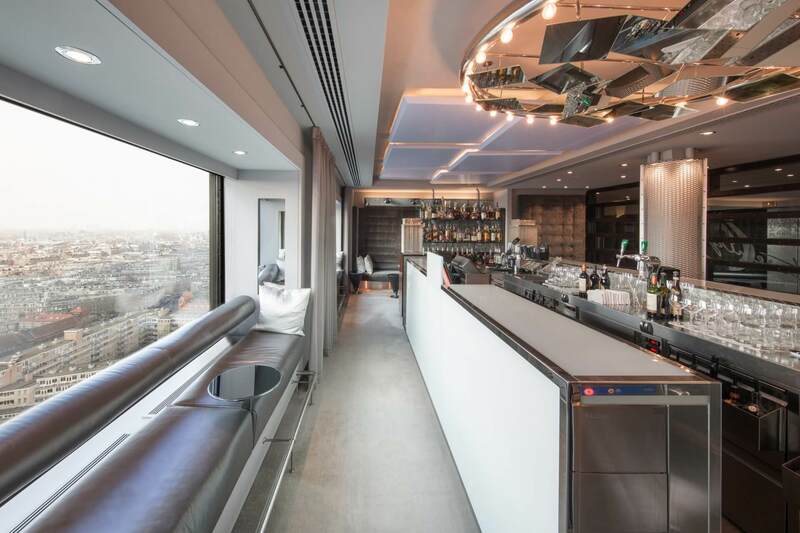 Open to non-hotel and hotel guests alike, sip crisp glasses of Champagne or cocktails created before your eyes, 23 storeys up. The bartenders offer a glimpse into the world that is at their feet with a broad selection of cocktails. 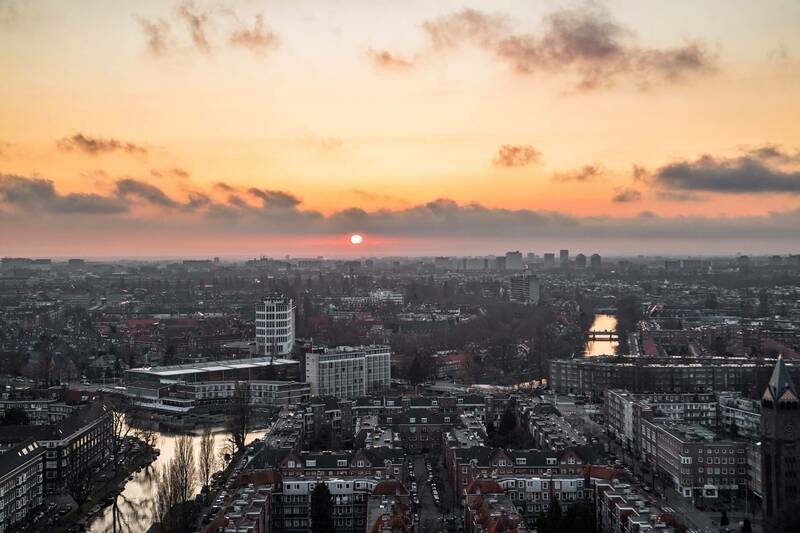 The spectacular view over Amsterdam at 78 meter height inspires them to turn the stories and particular feeling you get when wandering through the streets of the vibrant city into cocktails. 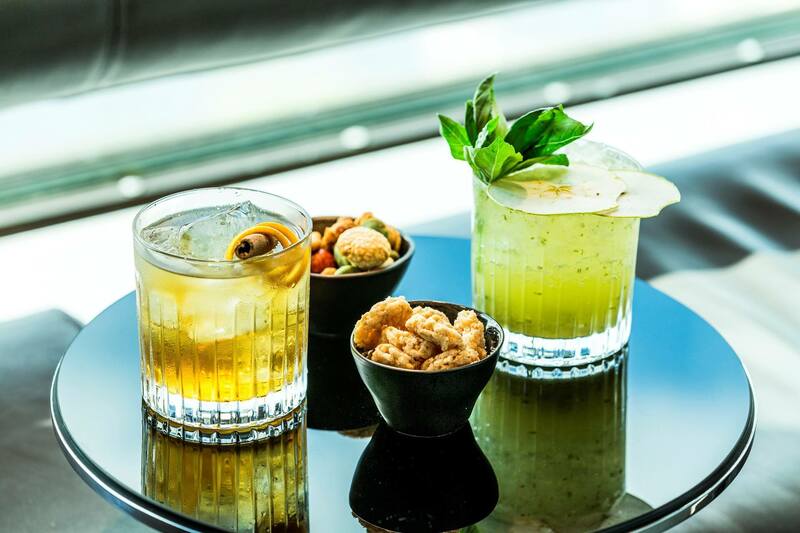 International guests will find themselves getting to know the city by tasting the menu, while those growing up in Amsterdam will find cocktails bringing back childhood memories. Guests who know all the ins and outs of the city will recognize many elements in the menu. The selection includes the ‘Walk in the Vondelpark’ , which is based on earthy flavors and the non-alcoholic ‘Artis Shake’ with a nutty character, which evokes a memory of the past. Using home-made syrups and purées of adjoining restaurant Ciel Bleu – recognised with two Michelin stars – give the cocktails even a more unique experience. Not a cocktail fan? Savour one of the wines and champagnes that are selected by sommelier Noël Vanwittenbergh and bar manager Marc Wüst. Accompanying delicacies, such as oysters and the ‘Open Macaroon’ with goose liver and mango, are prepared in the adjoining Ciel Bleu Restaurant which has been awarded two Michelin stars. 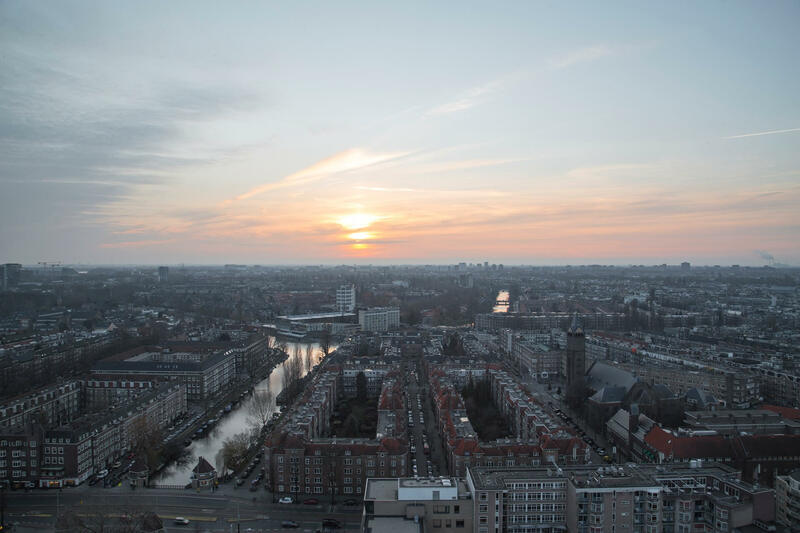 The Twenty Third Bar is located on the 23rd floor of the Hotel Okura Amsterdam, which guarantees an enchanting view over Amsterdam. This bar is open to both hotel guests and non-hotel guests. Enjoy unique, made with love cocktails in De Pijp, inspired by the city of Amsterdam. Perfect for a night out or a delicious aperitif before you sit in one of Okura’s restaurants. 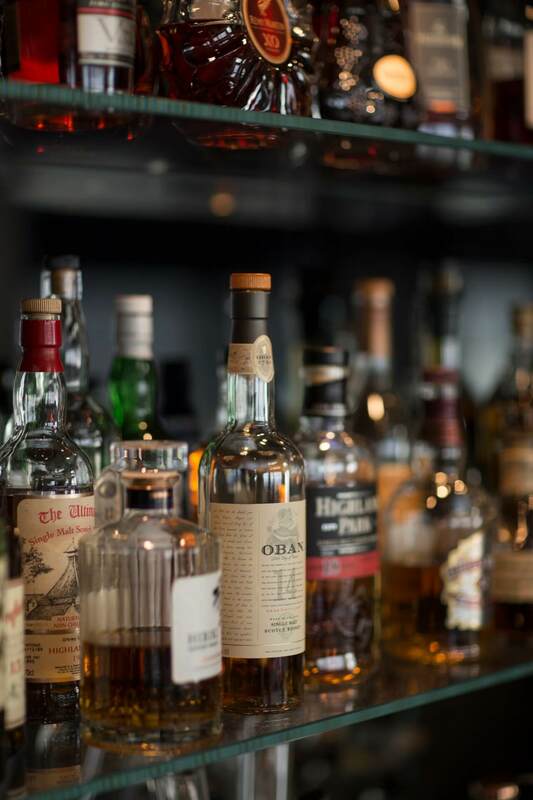 Twenty Third Bar can also complete your evening with cocktails right after your dinner. 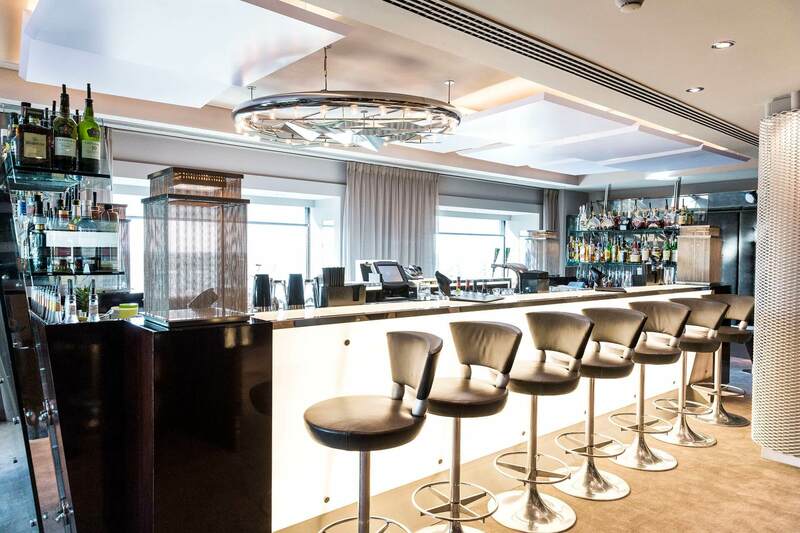 The menu offers a variety of drinks, including a range of cocktails and different champagnes.